Soft cover book. 52 pages. 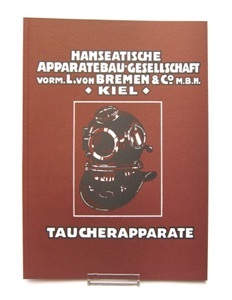 Both a very complete and well illustrated sales catalog of the ‘Hanseatische Apparatenbau Gesellschaft vorm. Ludwig von Bremen & Co. M.B.H. Kiel’ The original catalog is ‘impossible’ to find so I am quite happy to have this perfect reprint.